Trust between law enforcement agencies and the people they protect and serve is essential in a democracy. It is key to the stability of our communities, the integrity of our criminal justice system, and the safe and effective delivery of policing services. In light of the recent events that have exposed rifts in the relationships between local police and the communities they protect and serve, on December 18, 2014, President Barack Obama signed an Executive Order establishing the Task Force on 21st Century Policing. 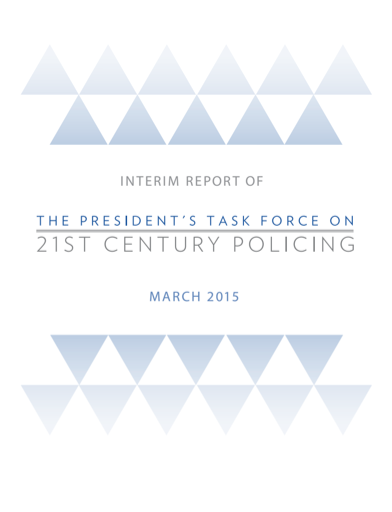 These remarks underpin the philosophical foundation for the Task Force on 21st Century Policing: to build trust between citizens and their peace officers so that all components of a community are treating one another fairly and justly and are invested in maintaining public safety in an atmosphere of mutual respect.